KHI.ORG– When it comes to standard measures of health, Kansas is a laggard. Whether we’re talking about obesity rates, incidence of diabetes, acute or chronic diseases, or childhood mortality, the Sunflower State typically ranks in the bottom half of state health rankings – and in recent years it’s been sinking even lower. 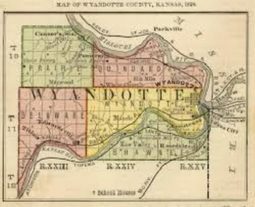 Health, JoCo, Poverty in WyCo, Wyandotte County Health. Bookmark. WWJD About the Whole Gay Thing?